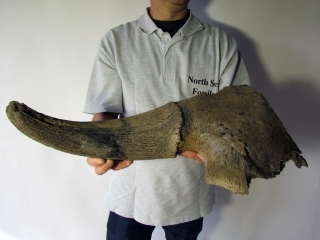 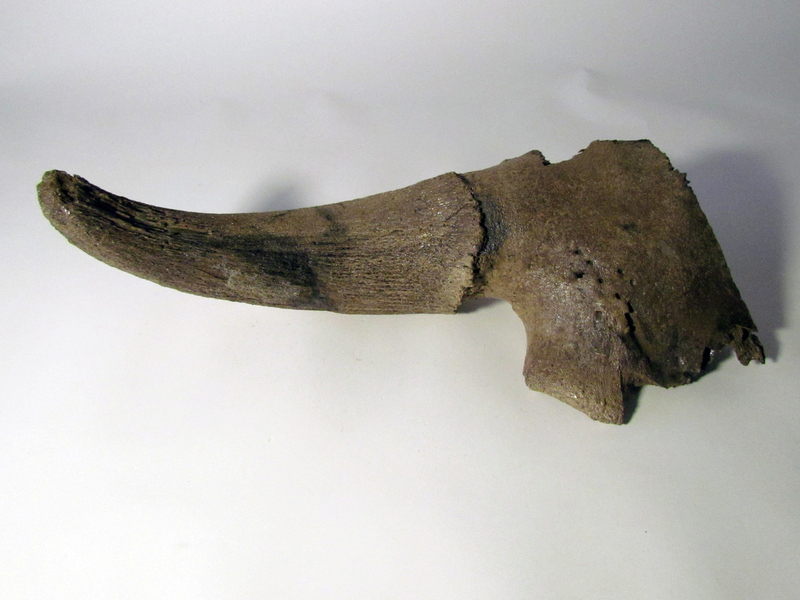 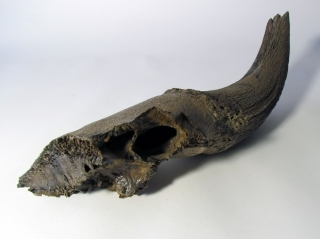 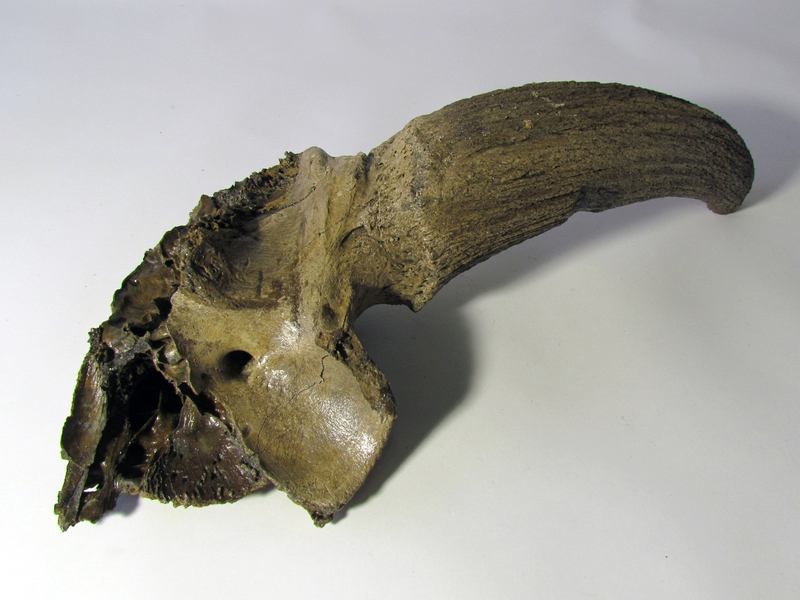 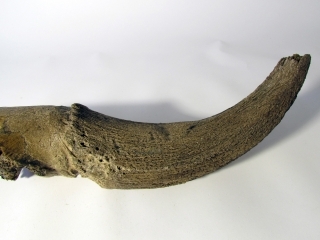 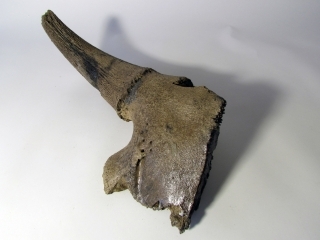 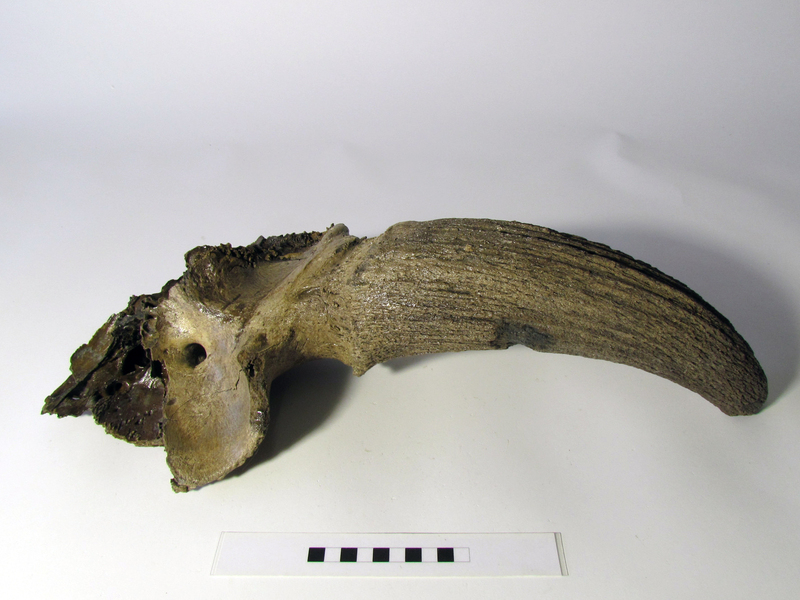 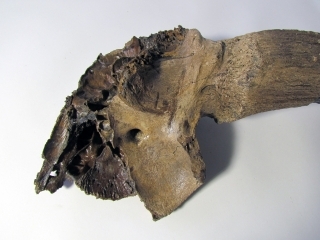 On offer is a good partial skull with beautifully curved and massive hornpit of a large Pleistocene Wisent, the predecessor of modern day American and European bison. 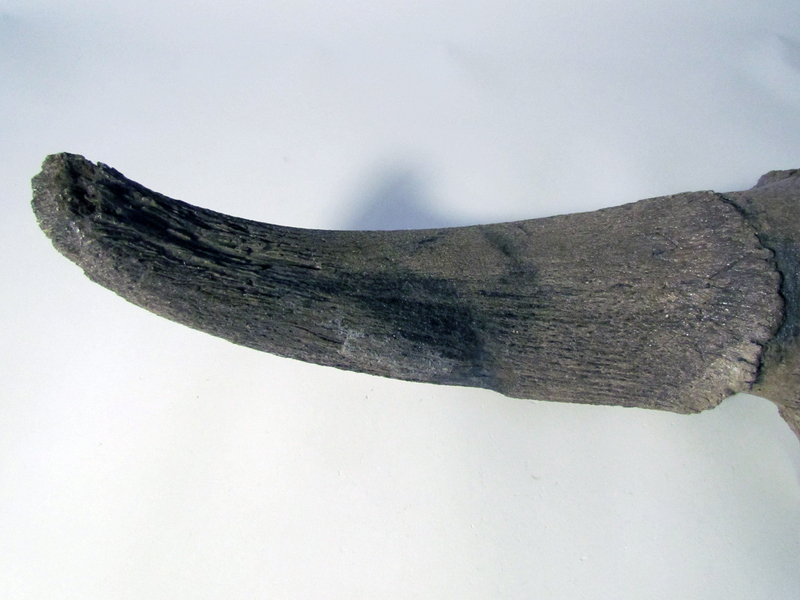 Good state of preservation, as seen in the images. The black-and-white section of the ruler in the image represents 10 cm / 3.9 inch.